A stunning combination of chocolates, coffees, and toffees, our Emperador Split Face tile backsplash features just touches of polished marble that adds depth and character to this backsplash kitchen tile. 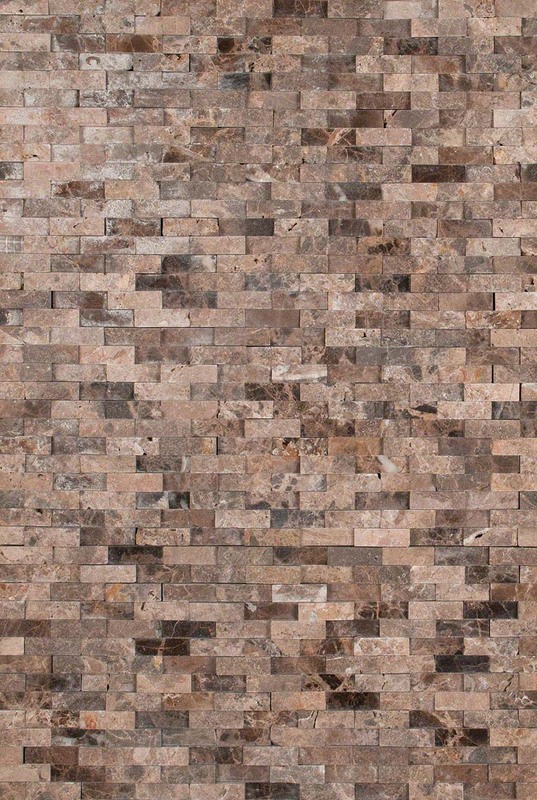 Use this gorgeous tile as a bathroom backsplash, kitchen wall or other feature presentation. Its beauty translates effortlessly in styles from traditional to modern.